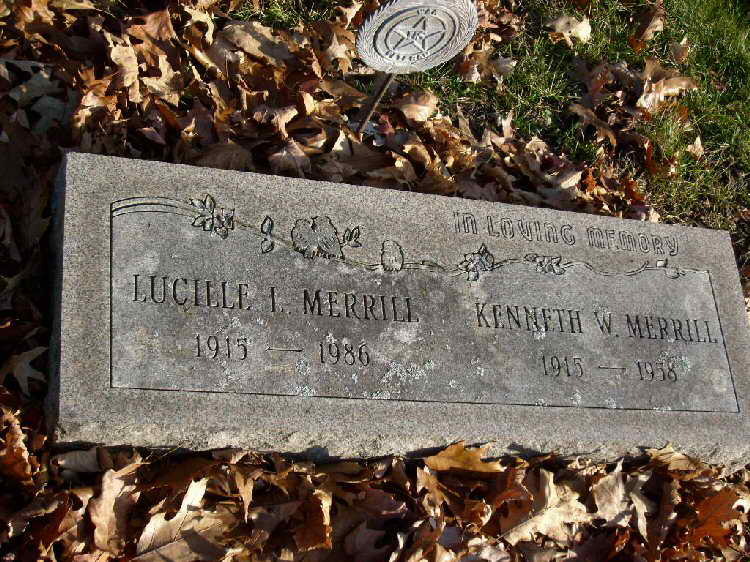 Grave marker for Kenneth W. Merrill in Section. J, Evergreen Cemetery, Lansing (Ingham county), Michigan. 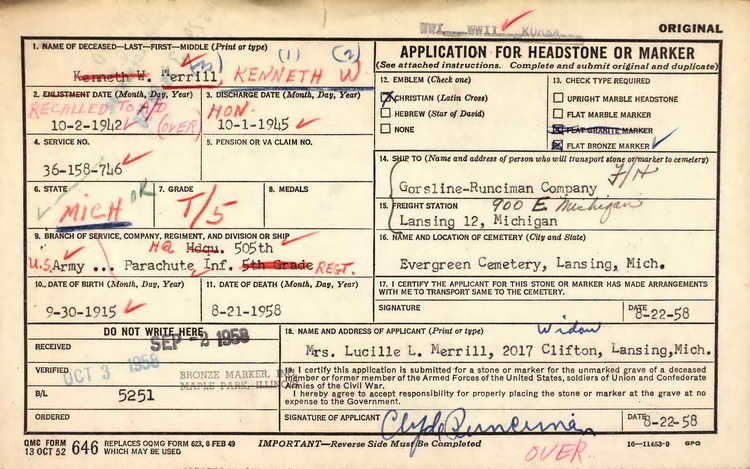 Kenneth enlisted in the Army at Kalamazoo, MI on 9 July 1941 and indicated that he was married. In fact, he had married Lucille Beilfuss [1915-1986] at Christ Lutheran Church in Lansing (Ingham), MI four months earlier on 10 May. She lies beside him today. Despite that entry, Morning Report of 27 January 1943 shows Pfc Merrill had been attached to the 508th Band from the 505th, Fort Benning GA. He was relieved from attachment status to assigned permanently on 15 February 1943. A variety of less important entries occur during the course of 1943 and his rank transitioned to T/5 somewhere between March and October. Unfortunately, Band Morning Reports for April and May were all "No Change" and then Band reports ceased. 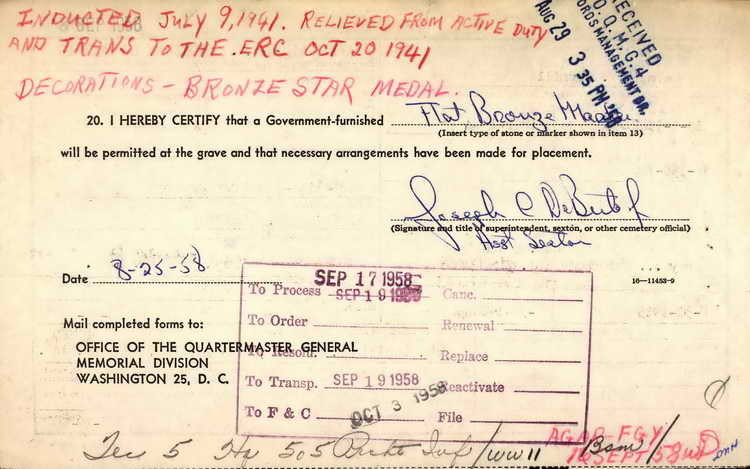 Again based on this application, T/5 Merrill was discharged on 1 October 1945 but recalled to active duty, presumably for service during the Korean Conflict although that period hasn't been ticked in the upper right margin.